“Can’t we just take a tuk-tuk?” I asked. It was the same discussion every time we travelled. I wanted comfort speed and a just a little legroom. Linh, on the other hand – at 5’1” – had other priorities. MATARA: Our afternoon stop in Matara from a piratesque temple. We bickered further on this topic as we walked towards the bus interchange as the sun sank below the Island temple where we had spent a brief hiatus from the crowded public bus that had taken us from Arugam Bay. I half realised that my deft and persuasive argument was for nought, and I suppose my body had pre-empted this by tracking for the transport hub. We wandered into the station, unsure of where we might find the right bus, and were met with the usual cacophony of sound that precedes any uncomfortable journey by public transport. Eventually through the smoke of a minor bus fire, we heard the dulcet tones of a driver announcing our ride. Despite the clearly enunciated announcement, we felt compelled to ask if this was indeed the bus that goes to the walled city of Galle. My pointed look was deflected by the back of Linh’s head, and we boarded after paying around four times the going rate; because I abhor negotiation – and Linh was tired. 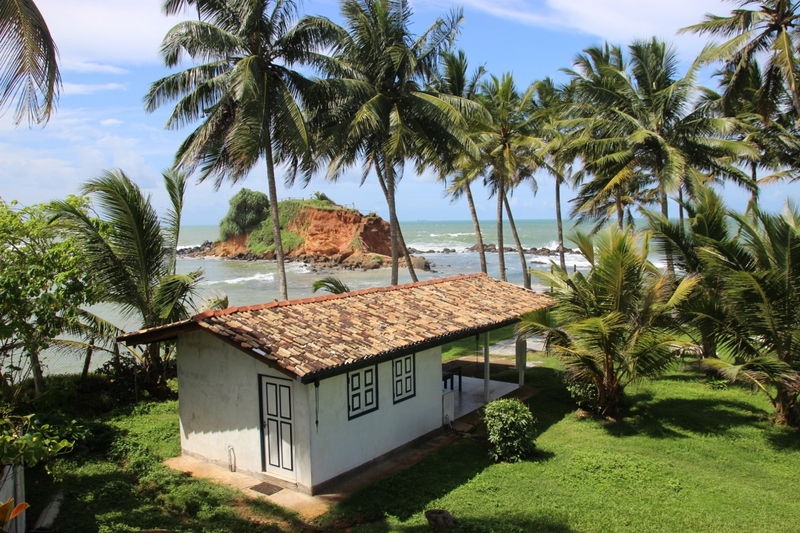 Before long the bus groaned into life and pulled away from the seaside town of Matara (“MataraMataraMataraMataraMataraMataraMatara” if ever you need to find a suitable bus). And I was treated to an equally pointed look from Linh as I stretched my legs out in front of me. Unfortunately, I lack the deflection skills possessed by the back of her head, so I bore the full brunt of her ‘Told you so’. 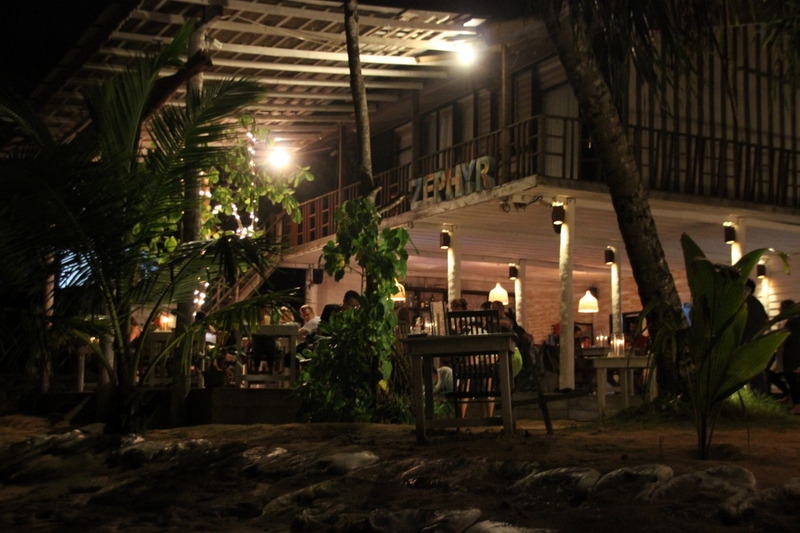 Night descended quickly and the lights of the coastal settlements whipped by for a little over half an hour before we started to fret about our stop – a natural occurrence when we plan our trips by the seat of our pants. 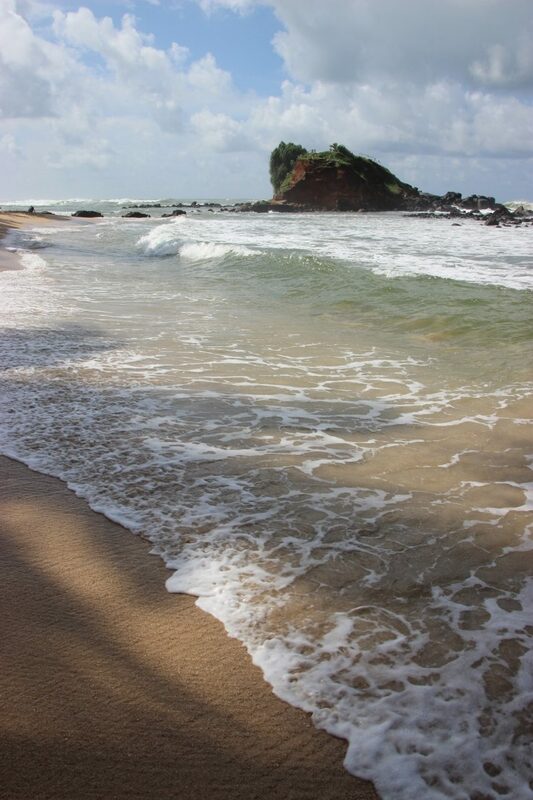 My calculations suggested that we should be nearing Mirissa, and a quick confirmation from the driver later, we were unceremoniously dumped on the unlit kerb of the coastal ‘highway’ in the sprinkling rain. 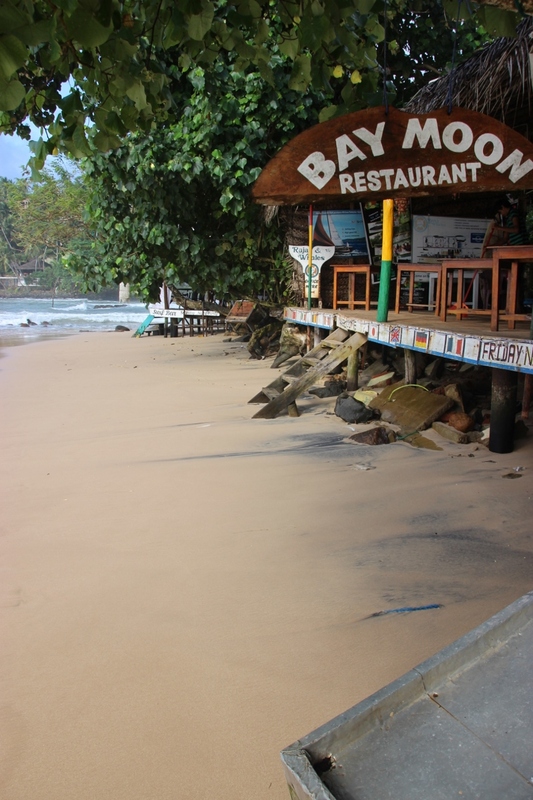 FLY AWAY: Fine, yet local dining on the beach at Mirissa. 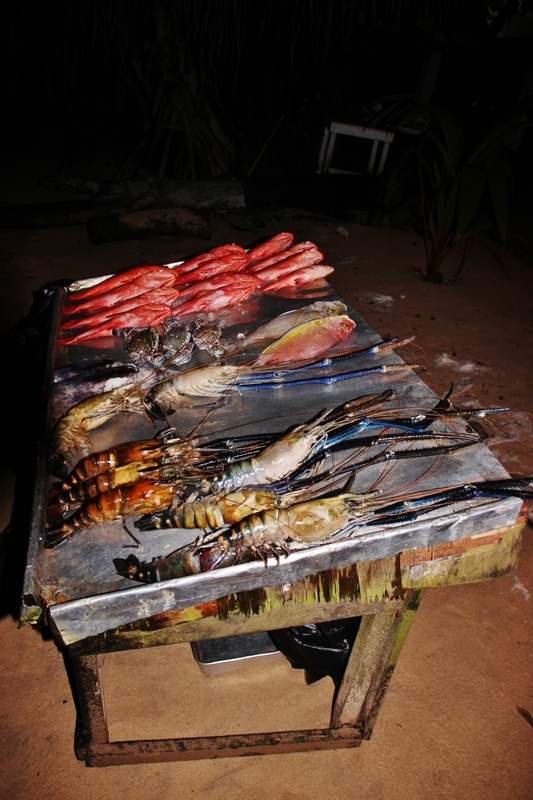 OCEAN CATCH: Each beach front dining option displayed their wares in a similar fashion. 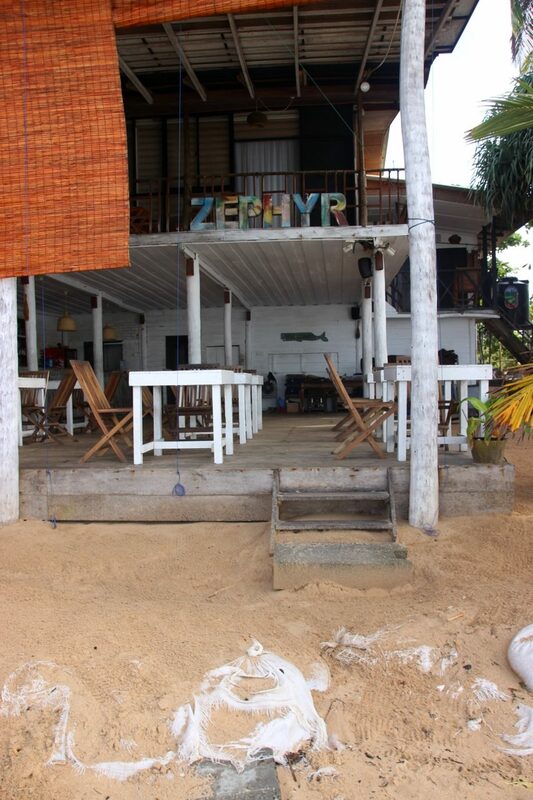 CRABS’ EYE VIEW: The colourful vista of Zephyr where we dined. Lugging our packs, we began to stride towards the strip of road that we hoped would lead us to one of the guest houses we’d short-listed last time we had access to Wifi. Traffic rushed by on one side, and high cement walls arrested our view of the sea that lay beyond the strip of houses and lodges, but after half an hour of walking backwards and forwards, we found a suitable place to spend the night – Giragala Village. OVERLOOK: Our room, overlooking the beach. 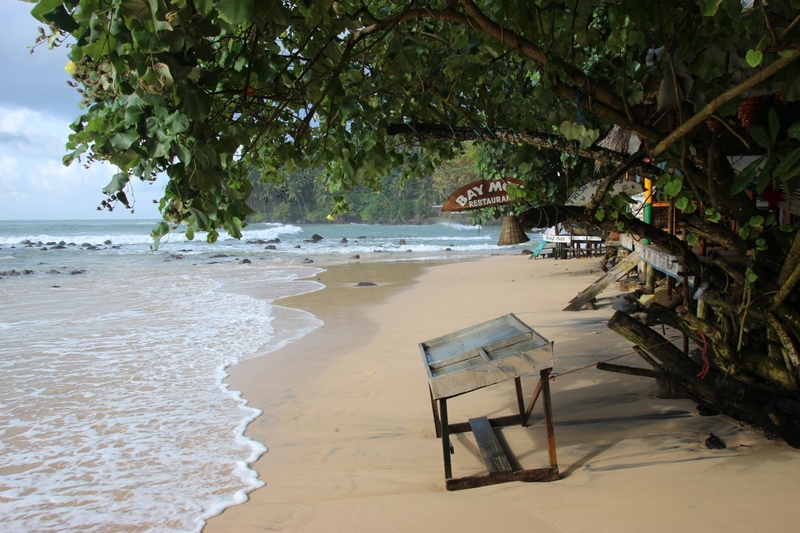 TABLE FOR TWO: On the sand! 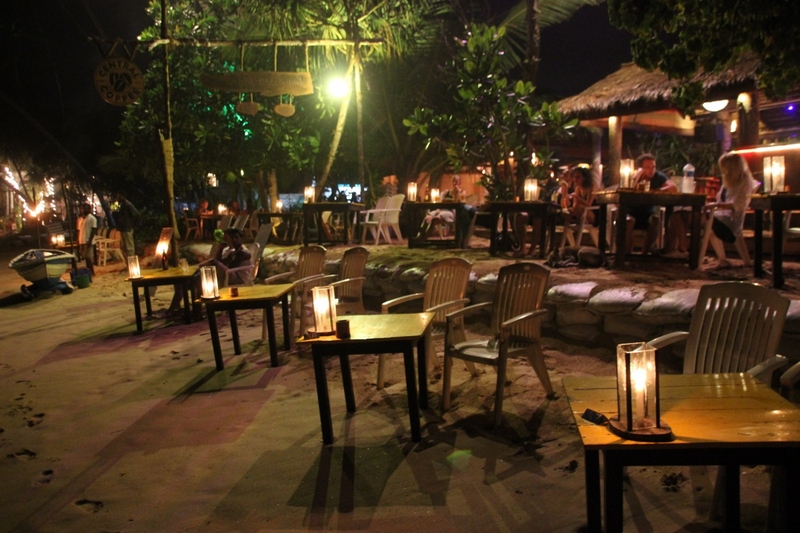 BEACH BAR: The bar opened right out onto the sand. 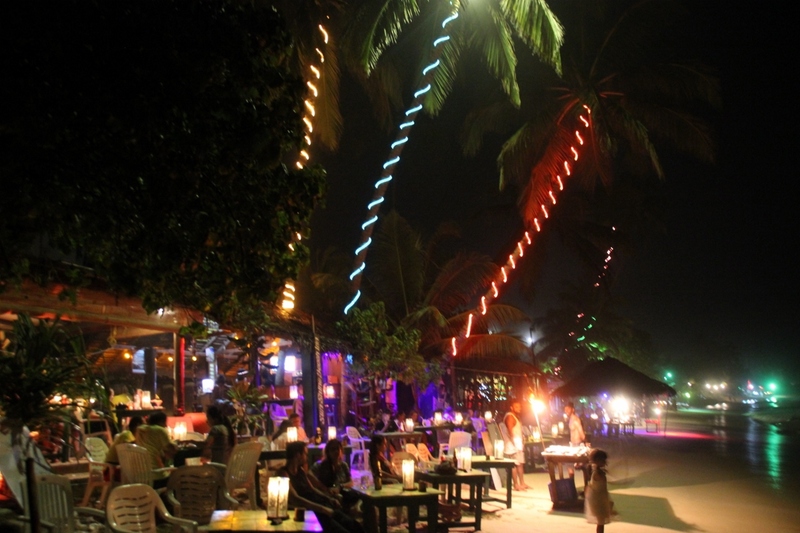 BEACH LIFE: The slightly showy lights of the Mirissa strip. We found our way to our way up to our room, and having dropped our gear, we opted for a walk along the beach in search of something to eat. 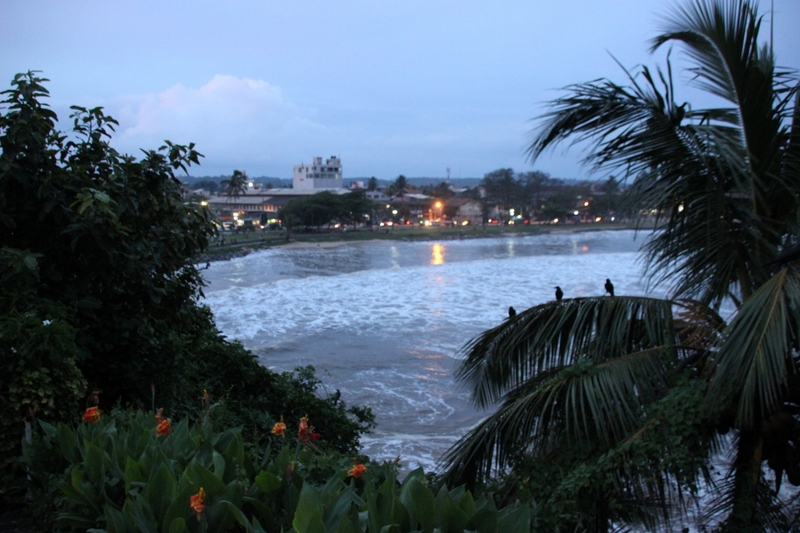 Part of the reason that we elected to stop in Mirissa was the prospect of eating at one of the many beach front restaurants. The options were broad, from rustic outfits catering to backpackers to resorts pandering to the more affluent (and largely Chinese or Russian) tourists. 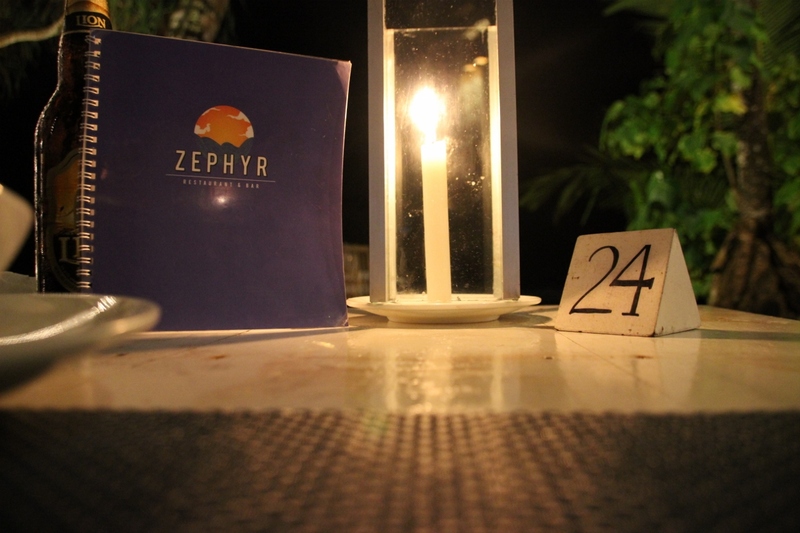 We stopped at Zephyr, a chic restaurant and bar that seemed to walk the balance between local flavour and tourist style. 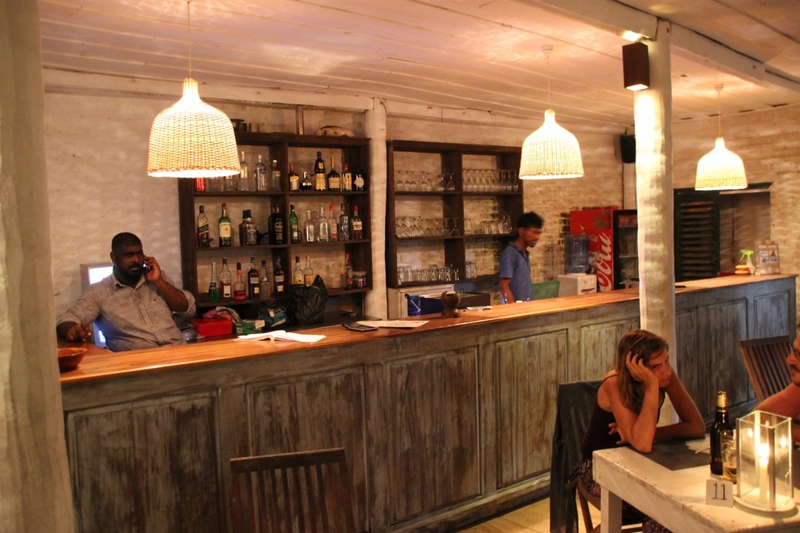 It is owned and run by local Sri-Lankans but caters to the ever-moving queue of travellers that travel the road along the country’s south coast. 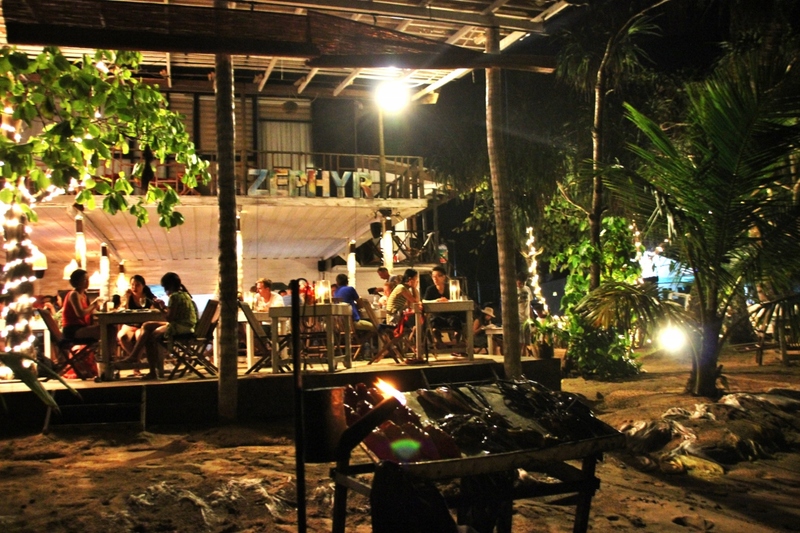 DINING OUTDOORS: Another beach spot that looked worth a try. OTHER OPTIONS: Another spot, perched precariously on the water’s edge. 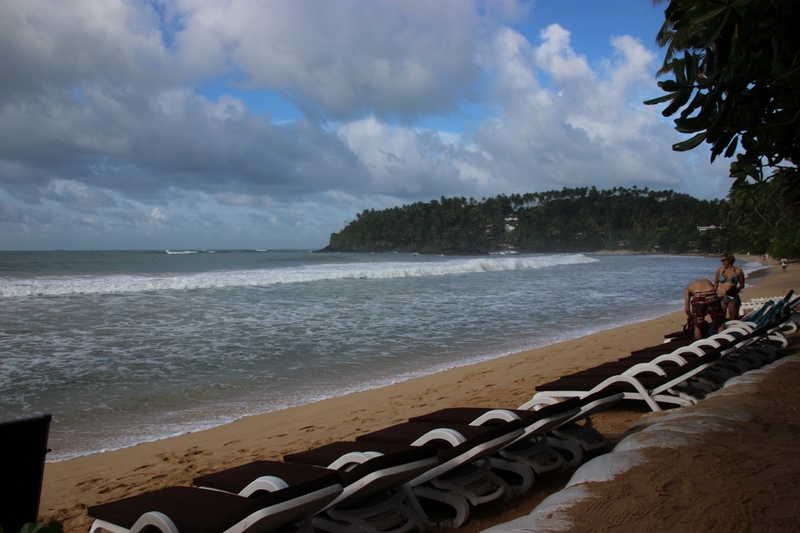 After a pleasant meal to the soundtrack of the waves on the beach sand, we retired to bed, waking for another walk and breakfast on the beach ahead of our next leg that would take us to Unawatuna and Galle.